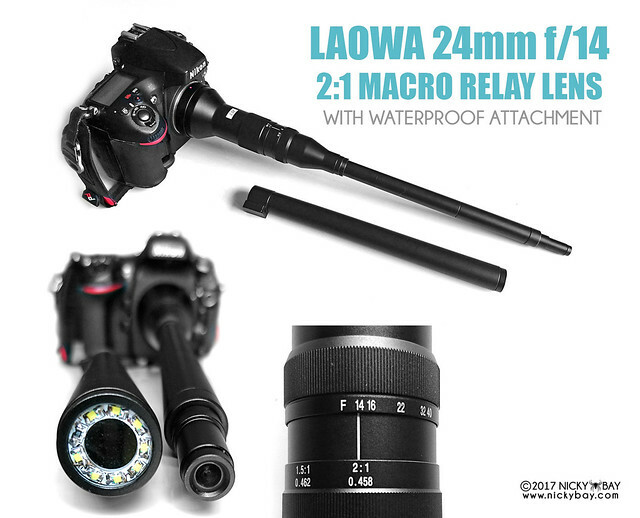 Back in June, I was given the opportunity to test the new crazy lens by Laowa - the Laowa 24mm f/14 2:1 Relay Lens. 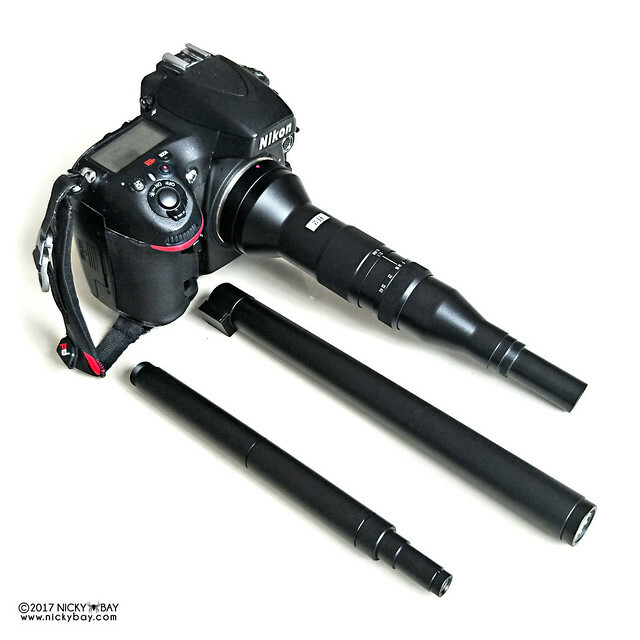 It measures about 40cm in length and looks more like an endoscope rather than a traditional lens. While such relay lens designs are not entirely new with a few other examples in underwater macro photography, there are rarely any readily available options for terrestrial macro photography. When an early prototype of this lens was first revealed in Photokina 2016, many called it the weirdest lens ever. Many questioned the rationale for such a bizarre design but were intrigued nevertheless. Speaking as one who had dabbled with crazier lens configurations (next post - stay tuned! ), I could understand some of the advantages of such a lens construction. The tiny front element measures less than 1cm in diameter (without the waterproof attachment), which makes it a lot less daunting for skittish subjects. It also allows the lens to be positioned in hard-to-reach places without disrupting the habitat, such as in thick foliage, inside a burrow, etc. 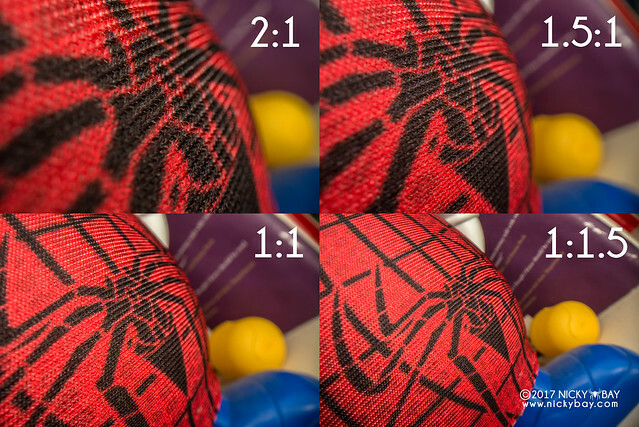 At 24mm, the DOF is noticeably deeper when compared to a traditional macro lens at the same magnification. The 2x magnification is a great feature to have, allowing distorted perspectives for larger subjects. 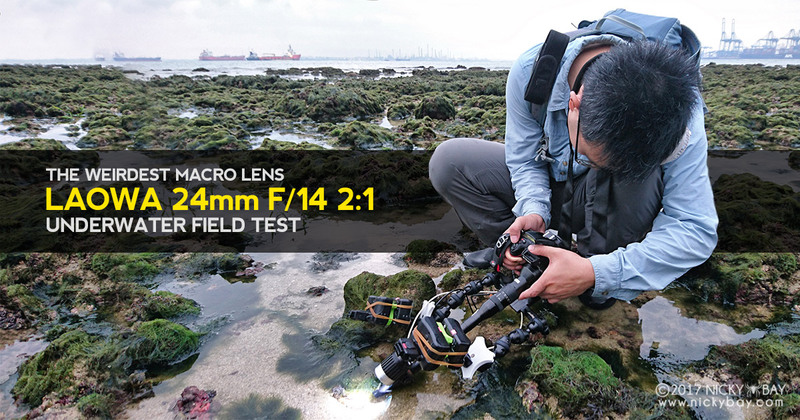 An attachment allows the tip of the lens to be dipped into water, effectively making underwater shots more convenient. The attachment is also equipped with a ring of LED lights, powered by a USB source. This is a highly specialised lens and by no means perfect. Its outlandish design comes with its own unique set of challenges. Without aperture coupling, it was difficult to focus when stepped down, especially for a 24mm when everything appears to be in focus. It is virtually impossible to frame the subject by holding the camera alone due to the length of the lens. The working distance at high magnification can be less than an inch. Incredibly challenging for skittish subjects. At only f/14 when at its widest, the subject has to be very well lit to frame the composition. All photos and videos in this series were shot with my Nikon D800, the Laowa 24mm f/14 2:1 Relay Lens, with 4x Nikon SB-R200, handheld. Check out my Macro Equipment page for more details on my usual setup. Measuring about 40cm, this lens definitely attracts attention when brought into the field. The LED lights are currently a little dim, and the engineering team is working on a brighter version. This lens focuses up to 2:1 in magnification. Couldn't find a big spider at home, so I made do with the Amazing Spuderman. I tested the waterproof capabilities of this lens during the low tide. 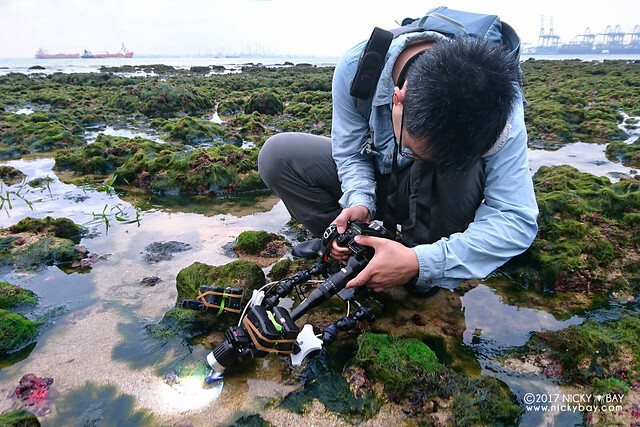 This was how I filmed the reef octopus in the video above. 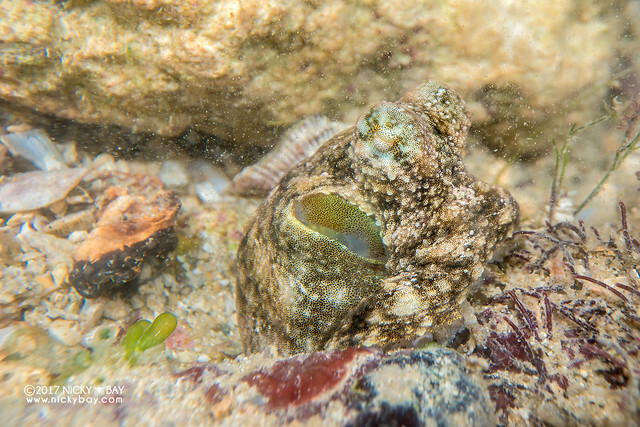 This reef octopus was really tiny, at less than 2cm tall in this picture. 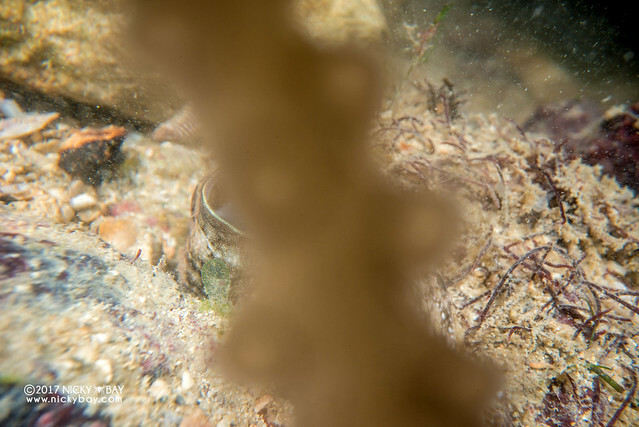 It was also very well camouflaged, making it really difficult to locate it using this lens. Got a little too close, and its tentacles grabbed the lens! This is a highly specialised lens and extremely challenging to use. When utilised properly, it will yield exceptionally unique images and videos. The image quality could be better, and the perspective could be wider. But at the time of this article, the engineers at Venus Optics are still refining the design for better performance. I've seen some variants of this prototype lens that had some really jaw-dropping features, but as those features were not finalised, I can't share them here... yet! Meanwhile, we can only wait for this lens to be perfected for yet another world's first from Venus Optics.